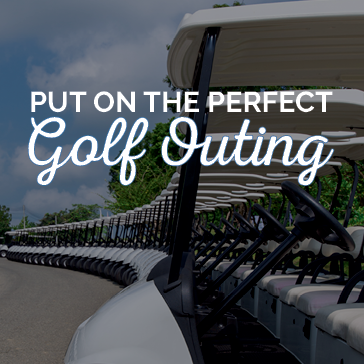 Explore our amenities below like our state-of-the-art practice facility or the Clubhouse and Pro Shop which features merchandise from top manufacturers. Puakea offers everyone a state-of-the-art practice facility. 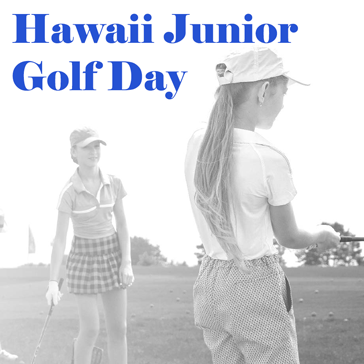 On July 1, 2003 Puakea Golf Course reopened an exciting new 18-hole layout with a new driving range, putting green and spacious short-game practice area. With over 30 hitting stations and grass tees, you'll find your game improving with every swing. The facility also offers a complete schedule of clinics, private and group lessons. 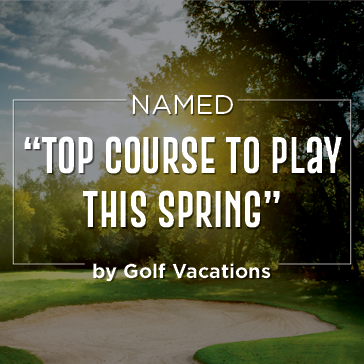 Let our PGA professional instructors help you master your game and decrease your handicap. Drop by anytime to simply hit a bucket of balls. The more you practice, the better your game. Come out and enjoy today! 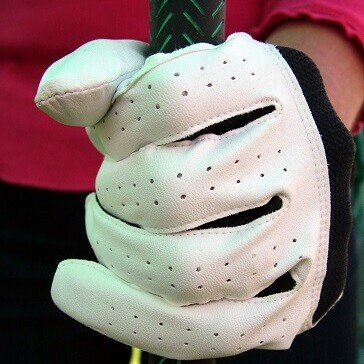 The clubhouse features merchandise from top manufacturers and can satisfy all your golf needs. You can also pick up Puakea Gift Cards! 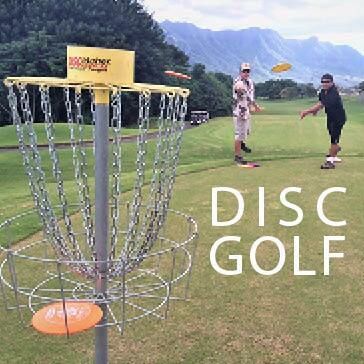 Gift cards are available in any increments in the Pro Shop or in our online store. Please call the pro-shop toll free at 866-773-5554 for help on selecting logo items for your shopping needs. Email Noveen Javinar for more information. Join us at the Ho'okipa Café now open for Breakfast, Lunch and Pupus from 7am – sunset! With fresh ingredients and all your local favorites, the Ho'okipa Café is the place to eat for golfers and non-golfers alike! Drink specials offered daily. Ask about hosting parties and catering services. View our menus below. 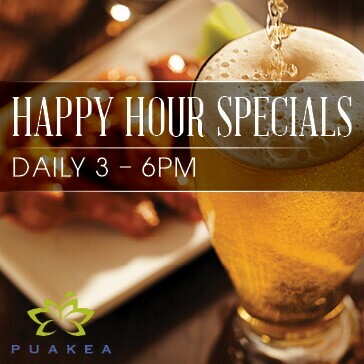 Daily Happy Hour from 3-6pm!